staying the course – Change is possible! It’s the morning of the day of Christmas Eve in America! Yay!!! Because I suspect you are busy with your holiday celebrations, and because I am so thankful that with all that busyness you still stopped by to check out my TGT posting today and because like me, I’m guessing some of you may still be wrapping the gifts you bought for others, I wanted to keep today’s Three Goals Thursday update brief. HOW’D I DO THIS WEEK WITH MY GOALS? I did my fifteen minutes of exercise every morning (some days it was H.A.R.D. but I did it). I worked at meditating and being consciously aware of the help that is available to me. I counted calories all week, giving special attention to portion sizes and my desire to want “just a lil more” once I have had enough. I’m happy for the progress I’ve made this week, and feel like I completed all my goals on time and in good fashion. I feel like a winner as I look over my progress this week. Here is my calorie count through Wednesday’s lunch. I will report on Thursday later. I’ve got some vacation time to blow through this next week and I’m looking forward to spending that time with family and friends (Dec 24-Jan 4)! Can’t wait!! 1. It is easier for me to SEE what I’m doing when I write it down. 2. Calorie counting helps me MAP OUT a strategy for the future, as well as see PATTERNS that are developing with my eating. 3. STAYING THE COURSE isn’t always easy, but it can be as simple as setting three teeny, tiny goals each week. 4. When I feel discouraged, God PROVIDES someone to cheer me on and help me up and out. Those folks are so important to me and my recovery. 5. My inner dialogue with myself needs to remain POSITIVE. Negativity never got me anywhere. Continue on with morning exercise and meditation. Laugh, Love, and Eat with an attitude of gratitude. To be sure, I had lost and gained back weight a hundred times before. To their credit, these others had no idea that my thinking was different this time. I wanted more than to lose weight. I wanted to walk up a few stairs without stopping. I wanted to play in the yard with my kids. I wanted to exercise without becoming instantly discouraged. I wanted to escape problems with GERD and reflux disease. I wanted to stop being tired all the time. I wanted to reclaim my life. Before, I kept waiting for the time to be “right” to lose weight. Now, I was done with waiting. Before, I imagined in my head that the motivation to lose weight would come to me like a magic elevator that comes to your floor in a make-believe hotel. I would wait and wait, and wait, and one day the elevator would stop on my floor and I would get on. When it did, losing weight would be a breeze–as easy as riding down a few floors on that magic elevator. As the floors rushed by, the pounds would miraculously melt off. That was before I lost 100 lbs! What I know now is that weight loss doesn’t come to you by magic means. 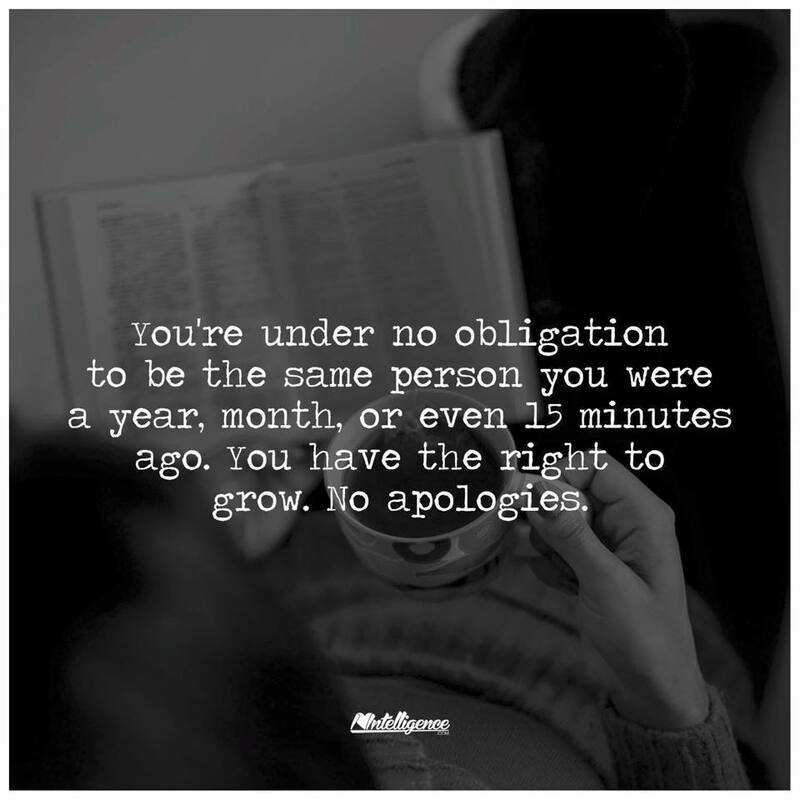 You help you to grow and learn, and do. Using that dream I had about the magic elevator to make my point, imagine that a weight loss elevator has become your mode of transportation from where you are now and where you want to be. Even if you had a magic elevator, there are still a few things you would have to do to make that elevator work for you. Decide you want to leave your floor. Know where the elevator can be found. Push the button to call the elevator to your floor. Stay on the elevator until you reach the lobby. Before, I thought weight loss was 99% motivation, so I waited patiently for motivation to find me. Now I see that getting healthy, becoming strong, and growing up to be someone who is determined means setting a course for myself that brings long-lasting results and does not depend on passive waiting. Action turns motivation into results! 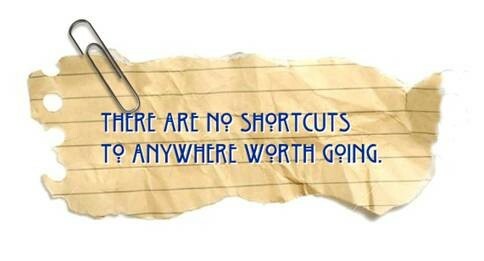 What will you choose, plan, or do today to make sure you realize your goal of getting healthy and staying that way? In what areas do you need to grow your confidence to make your dreams a reality? Good morning, September. So nice to see you! Things are warming up and cooling down at the same time in NEPA these days. Funny how that happens in the fall. Leaves are dropping from the trees, pollen is everywhere, and I am getting ready to head north, to the big Rochacha, for our Labor Day with the wee ones. Before I go, I wanted to share with you my progress with my goals this week and set new goals for the week to come. I’m sure this goal list is getting pretty tiresome for a few of you, but hey, I only post my goals once a week, and it is working wonders for me. I’m seeing both resistance and compliance in my daily work to achieve these goals, and I’m excited to be learning more about myself as I progress through my list each week. —Continue eating fiber in the morning. —Exercise for 5 minutes upon rising each morning. —Put my measuring cups on the kitchen table to remind myself to watch (measure) my portions this week. I saw less success with goal No. 1 this week. I ate my oatmeal less days, ate veggies for breakfast zero times, and felt like I let this goal slip a bit this week–mainly because there was so much going on in the early mornings. I live in the middle of the boonies, so I have to drive everywhere I go (15 min minimum to get anywhere), and because I had appointments two days before work, and I got up late once, oatmeal was out of the question on those time sensitive days. Lack of planning on my part. I did not bake my oatmeal over the weekend, which meant it was not conveniently ready to travel before work each day. Lesson learned! For 3 days this week I did not eat oatmeal. I am committed to doing better over the next 7 days. I did exercise for at least five minutes every morning this week, so goal No. 2 went well. I also did the Tai Chi exercises, but found there is a learning curve to these. I’m still at it, and I’m hopeful, but learning to do this dance is not going to be easy. I thought I was more coordinated than is true. Who knew?! And I may be a bit rhythm-challenged, too. Ha! Really, I should tape this and send it to America’s Funniest Videos. Their audience would laugh and laugh. I walked with my SIL 3 times this week after work, in addition to my morning exercise. I also walked alone after work twice. This is progress. Gotta love it! I think that morning exercise is inspiring my body to want to do more. Go figure. I also feel good about goal No. 3, of setting my measuring cups on the table, but someone took them away, twice. Regardless, I did give particular attention to portion sizes this week, so I feel like I did well with goal No. 3. 1. I will make a conscious decision and effort to eat my oatmeal this week, at least six days out of seven. 2. I will do 6 minutes of exercise first thing in the morning, before I do anything else. 3. I will again pay close attention to portion sizes this week, again putting my measuring cups on the kitchen table to remind me of this goal. This week’s goals seem teeny, tiny and repetitive enough to me to be the starters for good habit building. That being the case, I will continue on with them for another week. My point in making my goals every week and working to achieve them is that I am hoping to create some good habits in my life that will make getting healthy a lil less of an effort, and a whole lot easier. One challenge I faced this week was that of an abscessed tooth. As you will remember, I had a problem with a tooth back in May and June and saw the dentist on July 1st, when he did an extensive procedure in his office. He was hopeful at that time that a root canal would not be necessary; me, not so much. Hoping, yes. Convinced of being able to dodge a bullet, no. I tell people that with me, medical procedures are always done the old way with the rusty tools. Its my humorous way of conveying to others how often these things don’t get resolved easily with me. Abscess! A dirty, stinking rotten, no good abscess was found! Ugh! So now I am on antibiotics for two weeks and then the root canal will be done. Oh, how I dread it. Remember: old way with rusty tools. It will not be easy–never is–but I’m a survivor! I just loath taking these powerful bacteria killers, because as you know, they not only kill the bad bacteria but the good that live along side them, setting off a series of other problems to be dealt with in turn. Again, ugh! I. AM. A. SURVIVOR, though, so I will survive this. I know I will. What goal do you have in place to ensure your health this week? What teeny, tiny thing are you willing to do to find yourself feeling better next week? So, today was the first day of my increased exercise routine. My teeny, tiny exercise goal this week meant pushing five minutes of calisthenics to eight minutes. Teeny, tiny enough, right, but man, I hurt. I can’t blame the hurt on the increase of three minutes to my morning routine. That would be crazy and insane, right? No, I have been hurting more than usual this week since about Tuesday on, and I’m wondering why. Could be the weather, which seems to be EVER changing in NEPA. Could be I’m not stretching enough. …but let’s face it, it could be anything. Regardless, I am determined to do eight minutes of early morning movements every day this week. I’m nothing, if not stubborn! The weekend looms and we will have lil guys with us once again. I love our visits with them, seeing their lil personalities develop, watching them achieve new skills, and their creativity is off the charts. I think I will close with an example of the same today. 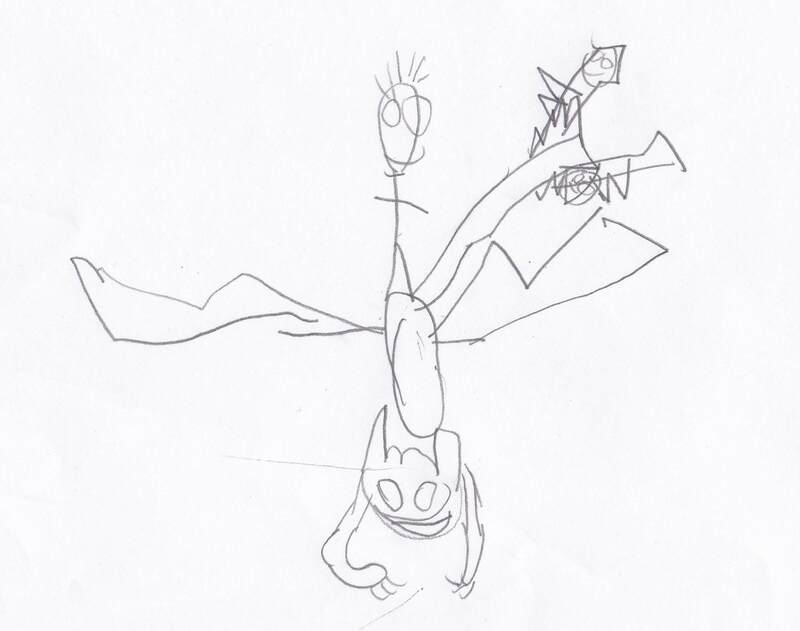 This was drawn by J, he loves dragons and legos, and he draws a Wednesday sketch each week for his daddy’s art blog. This is Toothless and Hiccup from, How To Train Your Dragon. Fun, is it not? J is six years old and will begin first grade this fall. When do you exercise? What will you be doing this weekend to move more and eat better? I love the quiet confidence and utter honesty and vulnerability found in this TED talk. Enjoy!